SmartCash is a blockchain-based cryptocurrency with a limited supply of 5,000,000,000 SMARTS. Above all, it is a participatory project based on a decentralized governance system. SmartCash has the ambition to be adopted at a worldwide level, and to allow its users to make daily and simple transactions in a quick and safe way using its cryptocurrency: SMART. Transactions using SmartCash are extremely rapid. With its block sizes of 4MB and 55 second block times, the network can generate up to 300 transactions per second, and this capacity will grow even larger with the arrival of adaptive block sizes. These will allow for even more transactions per second later on. Will SmartCash be useful to buy things in the real world? Yes, and this is one of SmartCash’s purposes. Creating an easy to use and accessible to everyone cryptocurrency that actually works for day-to-day commerce is one of the main features of SmartCash. Purchases are made with the SmartCard and SmartBand, in addition to mobile wallets, email, tipbots on social media platforms, and SMS. What kind of things will I be able to buy with SmartCash? You will be able to use SmartCash at any merchants that are equipped to accept SmartCash as a payment method: such as hotels, travel agencies, health and beauty stores, and online stores. At the moment, SmartCash is already used by 85% of merchants in Brazil via the SmartBand integrations. SmartCard is a physical card that allows both storing and spending your SmartCash on a daily basis. There is no need to have a phone or an Internet connection to spend the SmartCash that are on your card, as only the merchant needs to have an internet-connected smartphone app in order to complete your purchase. 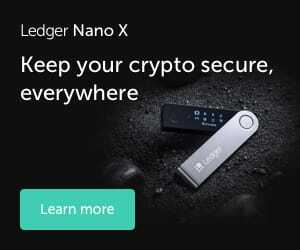 It is therefore a transaction that is 100% crypto to crypto, without the need for a 3rd party, bank, or additional payment processor. What does SmartBand has to do with SmartCash? There are actually many ways to store your SmartCash and to spend them in order to make purchases. One of the most practical ways is to use SmartBand, which is a wearable band in which NFC technology is integrated, allowing establishing a connection in between two devices located at a short distance. In Brazil it is already possible to pay using SmartCash, thanks to this device. The company, ATAR, is expanding internationally now. Where can I buy SmartCash? You can buy SmartCash cryptocurrency on exchanges such as HitBTC or Cryptobridge, but the easiest way to do so is using Changelly, which supports VISA and MasterCard. The SmartCash web wallet also comes with Changelly integration and customer support. If you prefer a brick and mortar location, you can use one of the ATM machines from General Bytes network, which are located around the world, or visit a dedicated crypto store like the House of Nakamoto in Vienna, Austria which has a SmartCash ATM onsite. Where can I store my SmartCash? There are many ways to store your coins. For example, you can use ElectrumSmart wallet, which is a reliable and practical crypto wallet that is fast and works without needing the full blockchain. You can also use the SmartCash wallet web wallet, or secure third party wallets such as Coinomi. In the near future, you will also be able to use the Ethos and Edge wallet to store your SmartCash. The Trezor hardware wallet is also a future integration. 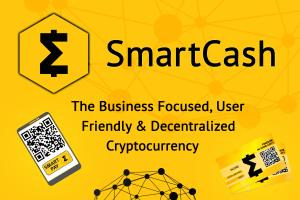 Overall, SmartCash is an innovative cryptocurrency with a focus on adoption for daily usage, with many innovative approaches such as SmartCard, SmartBand, and the versatile web wallet that makes this an easy to use choice for payments."